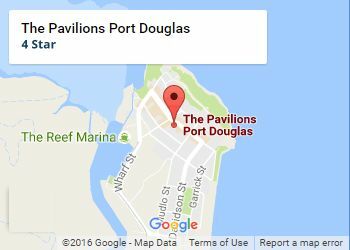 The Pavilions - Boutique Holiday Apartments - "Truly the Heart of Port Douglas"
The Pavilions Port Douglas is your place in paradise! 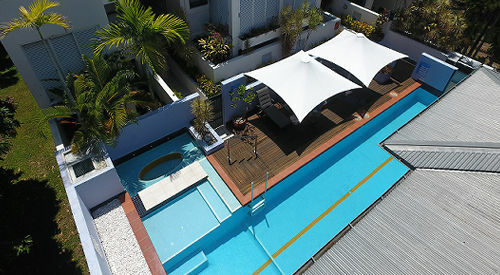 Boutique holiday apartment accommodation in the center of Port Douglas Australia. 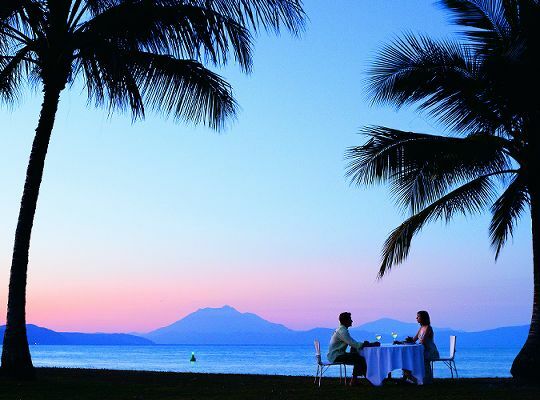 Just a one hour very scenic drive north from Cairns International Airport. 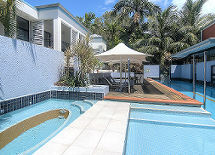 As this Holiday Apartment Accommodation is located in the heart of Port Douglas you are only a short stroll away from everything - beautiful 4 Mile Beach, 5 star restaurants, boutique and international designer shops, the eclectic Sunday market to the fabulous Meridien Marina - main departure point for the Great Barrier Reef. 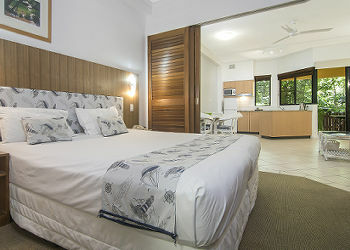 200km stretch of Coral Sea coastline, and adjacent to the World Heritage rainforest areas of Daintree and Cape Tribulation, Port Douglas continues to be a highly regarded holiday destination for the world's rich & famous, as well as everyday visitors from all around the globe. 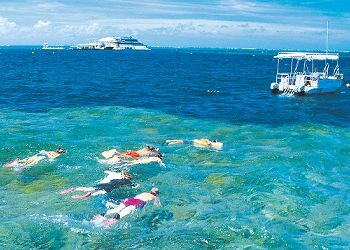 From Port Douglas, there are options of more than 150 tours departing to the Great Barrier Reef, the Daintree Rainforest, Bloomfield Falls, Mossman Gorge, the Atherton Tablelands or Cooktown by boat, 4-wheel drive or coach.